In order to increase our children’s fitness, and therefore help them live a healthier life, the children from Y1 to Y6 are walking/running every day around the school yard. With this in mind please ensure your child is wearing appropriate footwear for this activity. 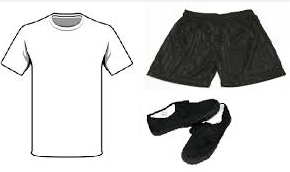 Below is when your child needs their PE kit. Miss Griffiths’ – Monday and Tuesday. Please note children in Y4 who are swimming will need their swimming kit on a Friday and not their PE kit. Tuesday 18th October at 2pm – Foundation and KS1 Harvest Festival. Wednesday 19th October at 2pm – KS2 Harvest Festival. Friday 21st October – break up for half term. Monday 31st October – start back.